For the former settlement in Nevada County formerly with this name, see Cherokee, Nevada County, California. 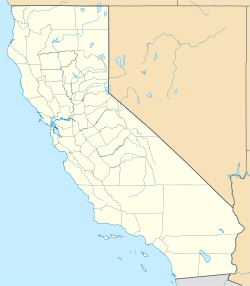 Tyler is a former settlement in Madera County, California. It was located on the Chowchilla Pacific Railroad 5 miles (8 km) south-southwest of Chowchilla, at an elevation of 197 feet (60 m). Tyler still appeared on maps as of 1918. ^ Durham, David L. (1998). California's Geographic Names: A Gazetteer of Historic and Modern Names of the State. Clovis, Calif.: Word Dancer Press. p. 840. ISBN 1-884995-14-4. This page was last edited on 23 March 2017, at 10:16 (UTC).